Established in 1999.Our mission is to provide our customers the name brand merchandise that they can count on at the lowest possible price, while maintaining the highest level of service and customer support. 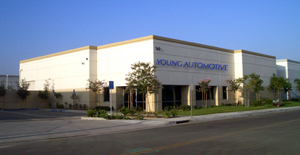 Young Automotive Parts is a family owned business. We appreciate your visiting our website and look forward to hearing from you. We Store and Ship Many Name Brand Products.